Having over 40 years specializing in household goods moving insurance has given us the time and experience to establish and refine our core group of supplier partners. Here are some of the steps we take to successfully manage our inspection and restoration network. To keep current UNIRISC frequently looks to the CPPC (Claims Procedure and Prevention Council) or local vendors for referrals when seeking a new repair firm. UNIRISC has created a comprehensive questionnaire and vetting process that prospective repair firms are required to answer prior to gaining approval for use of their services. If the questionnaire is completed to our satisfaction and their references are confirmed, these new firms are given work on a trial basis while we closely evaluate their performance. If the results are positive and all criteria are met, the repair firm is added to the UNIRISC database. Our repair firms are insured and background checked. Within 1 to 2 business days of the claim receipt, UNIRISC emails an assignment authorization and a copy of the claim form to the repair service. Coverage conditions specific to the client are included with this correspondence. The network member is instructed to contact the customer directly to set up an appointment. Initial contact is made within 24 to 48 hours. UNIRISC grants authority to the firms to perform repairs to transit related damage at the first appointment, thereby making the process as convenient as possible for the transferee. This reduces the necessity for multiple visits and customer inconvenience. Because of the volume of business that UNIRISC directs to our select base of repair firms, we are typically able to secure the most desirable appointments for our customers. We are active members of the CPPC (Claims Procedure and Prevention Council) and meet with our suppliers on a regular basis to disseminate information and train them on service and technology. 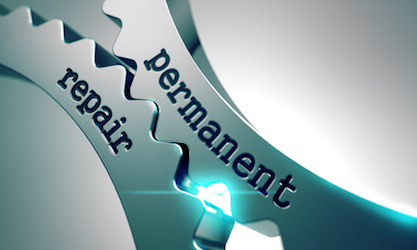 Our repair network is vital to customer satisfaction and the overall success of our program. We treat these vendors as professionals and empower them to make judgments and effect repairs without prior approval. We allow them to charge a fair price and pay them promptly once we receive their report and invoice. Over the years customers are more pressed for time. Compounding this challenge, being new to an area they don’t know where the “grocery” store is never mind craftsmen specializing in the myriad of specialty type items that may get damaged during a move. To address this, many of our supplies have developed an extensive sub-contracting network to reduce the time and uncertainty in the customer having to research this on their own.